Q: Now for the KISS Kruise, you have to be handpicked by the band. How would you describe your relationship with the guys from KISS? Lita: "I have a great relationship with the guys from KISS. I’ve got a good relationship with Gene [Simmons] and Paul [Stanley] and have known them since The Runaways days. I’ve seen them go through their ups and downs. Eric Singer, their drummer was actually my old drummer. 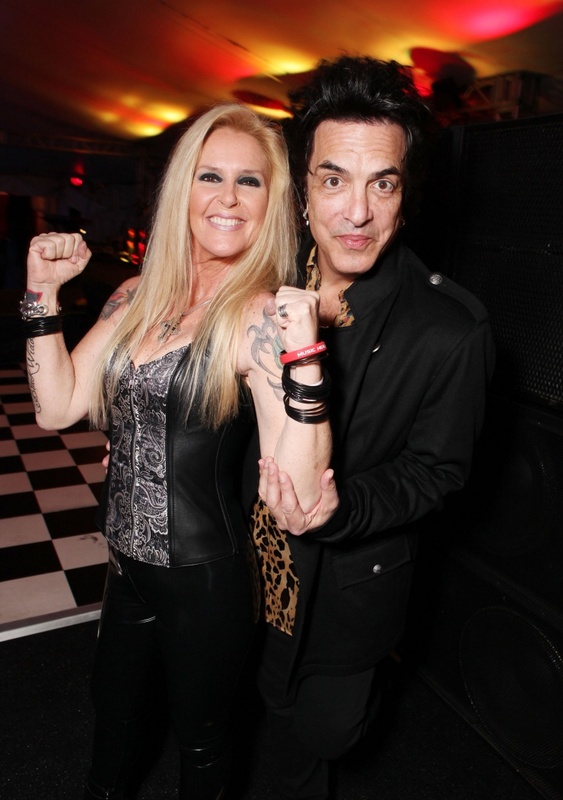 Eric played with me before he played with Alice [Cooper] before he played with KISS so we have that in common. Tommy Thayer is just a great guy and a great guitar player." 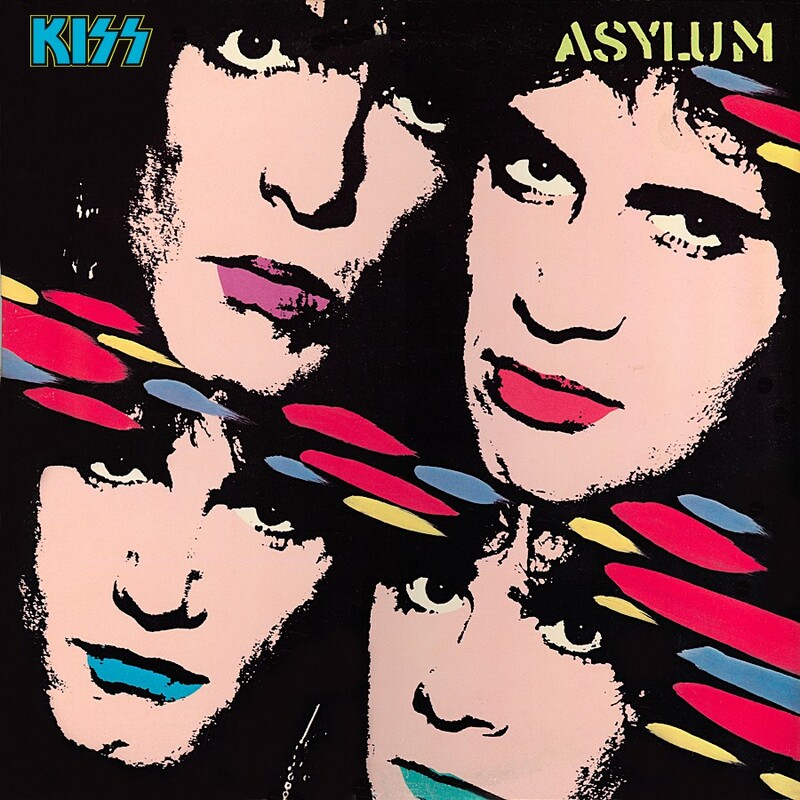 30 Years Ago: KISS Release "Asylum"
30 Years Ago: KISS Release "Asylum". "Asylum" is the thirteenth studio album by KISS. It is the first with lead guitarist Bruce Kulick, who played on one song on their previous album Animalize and had joined during the subsequent tour, as an official band member. He was the band's third lead guitarist since the departure of Ace Frehley in late 1982. The new lineup of Paul Stanley, Gene Simmons, Eric Carr, and Kulick would last for until Carr's death in November 1991, while Kulick would stay with the band until the reunion of the original lineup in 1996. Three music videos for the album were filmed on set in London, England for the songs "Who Wants to Be Lonely", "Uh! All Night" and "Tears Are Falling". Only "Tears Are Falling" was released for retail sales as a single. The album was certified Gold on November 13, 1985 by the RIAA. "Asylum" sold over 1.5 million copies, but never was re-certified for the Platinum award. The back cover of KISS "ALIVE!" 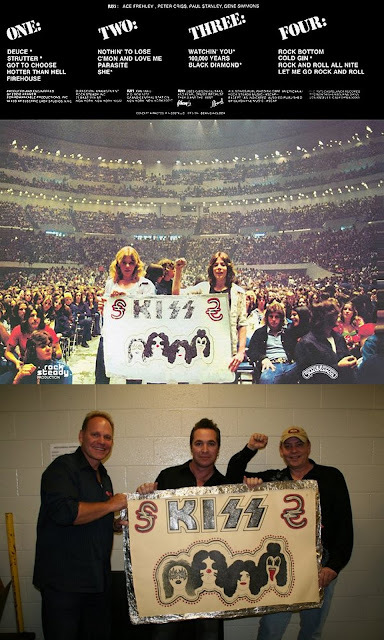 features a photo of the audience (The KISS Army) at Cobo Hall in Detroit, along with two young KISS fans by the names of Bruce Redoute and Lee Neaves whom are holding up a homemade KISS banner. Here's Bruce Redoute and Lee Neaves along with Paul Stanley's guitar tech Captain Frantastic III at the KISS show at Cobo Arena (Hall) in September of 2009 with their original KISS banner that they held up on the back cover of KISS "ALIVE!". 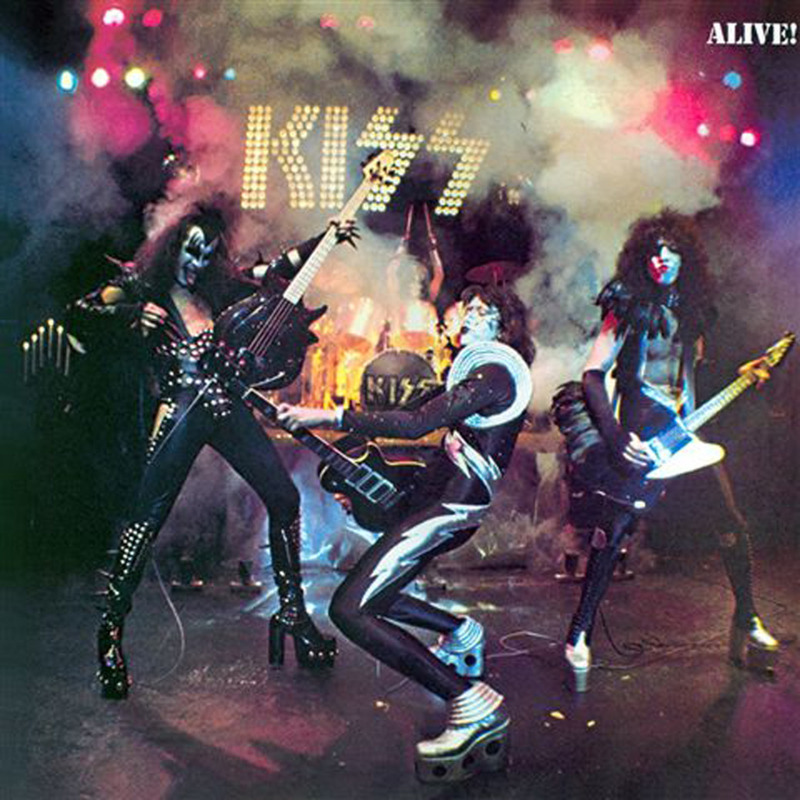 40 Years Ago: KISS Releases "ALIVE!" Today In KISStory - September 10, 1975: KISS releases "ALIVE!". ALIVE! 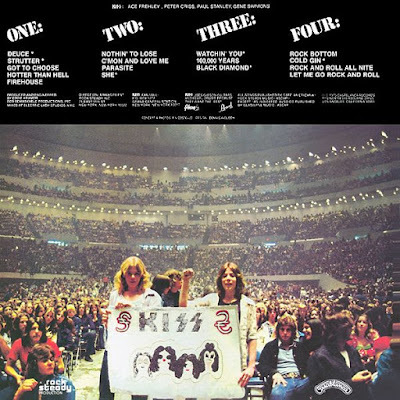 is the first live album and fourth overall by KISS. It is considered to be their breakthrough and a landmark for live albums. Released on September 10, 1975, the double album set contains live versions of selected tracks from their first three studio albums, KISS, Hotter Than Hell and Dressed to Kill. It was recorded from concerts in Detroit, Michigan; Cleveland, Ohio; Wildwood, New Jersey; and Davenport, Iowa. "ALIVE!" was the bands first RIAA certification reaching Gold status on December 4, 1975. The album peaked at #9 on the album charts and charted for 110 weeks. Rolling Stone magazine ranked KISS "ALIVE!" at #159 on their list of the "500 Greatest Albums Of All Time".